We like it when something new comes to town, especially something as exciting as Gozone Water. Deidré and Grant Dyers brought this new concept to White River and we are loving it! Gozone Water provides a wide range of ozone and associated technology solutions for water purification, air purification, sewage and effluent treatment, as well as turnkey bottling. 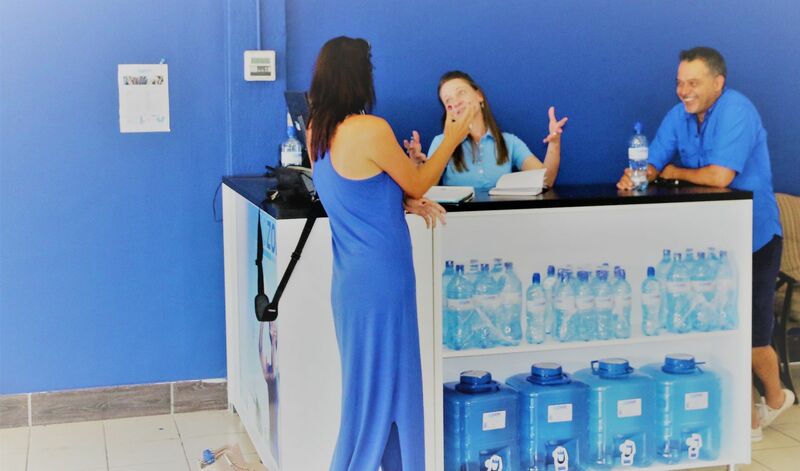 They provide only the purest, remineralised, ozonated water and ice for wholesale and to the public. We Are White River has tasted the water and not only does it taste really good, it also makes you feel so refreshed and energised. 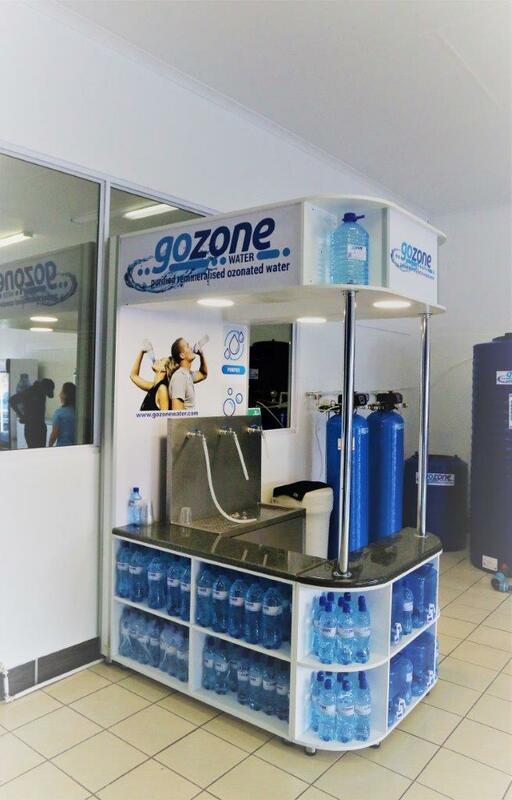 Gozone uses a process where water is purified, remineralised and then ozone is added. The purification process is where reverse osmosis is used to strip water down to its natural state of h2O – with a 5-stage pre-filtration, including carbon. This process removes compound and elemental TDS (total dissolved solids). Ozonation is where ozone is used to sterilise and disinfect the water. This process is faster and stronger than adding chlorine. The by-product of chlorine is really bad for you, but the by-product of ozone results in three times more oxygen in your water. Although reverse osmosis is one of the best ways to purify water, it also strips water of all its minerals. That is why Gozone reintroduces certain salts and minerals to the water to create electrolyte balancing, ensuring effective hydration. 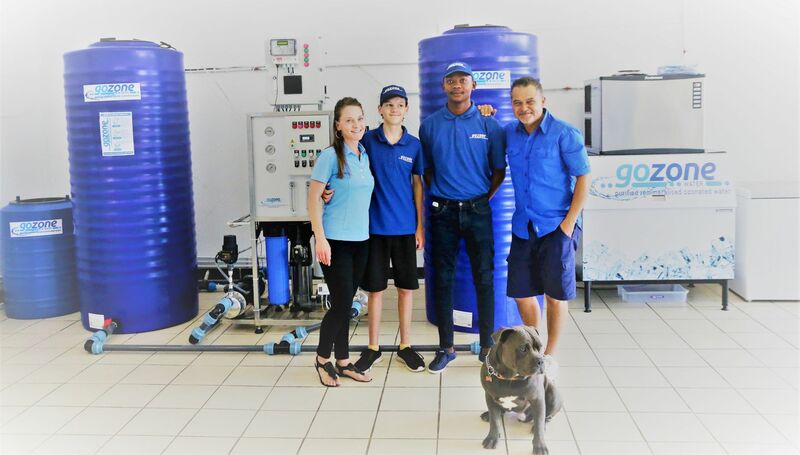 Their in-store purification systems are serviced and the water tested regularly, to ensure that their high-quality standards are maintained. Good client service is a priority for Deidré and Grant and they always ensure that their shop is clean and that the needs of their clients are catered for. Convenience is very important to them and they will soon launch a drive through service, where you can stop in the shade outside the store and your bottles are filled while you relax in the comfort of your car. “Our main focus is to educate the community in terms of the health risks associated with drinking impure water, even after boiling it and to provide our local, as well as surrounding rural communities with pure, safe, healthy drinking water. 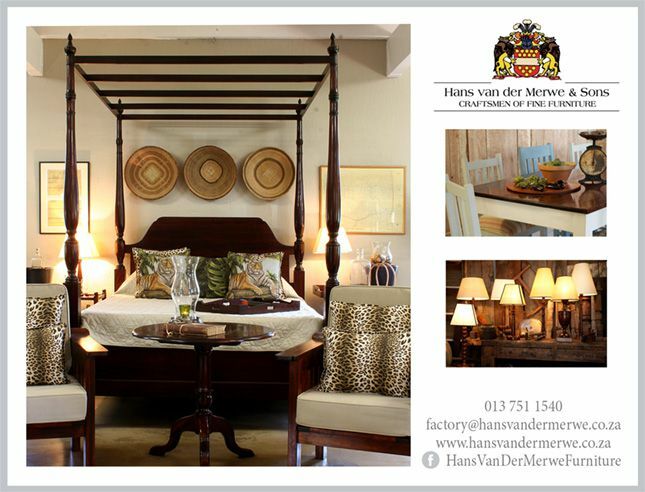 We encourage entrepreneurship and our vision is to train and mentor our staff to become successful entrepreneurs. 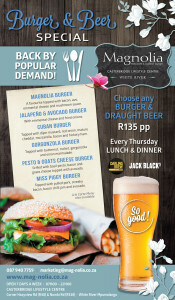 Give a man a fish and feed him for a day, teach a man to fish and feed him for a lifetime,” says owner, Grant. 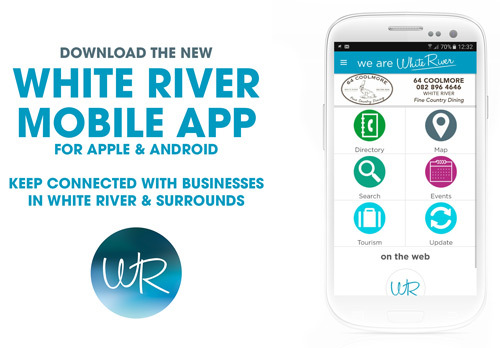 We welcome them to White River and wish them success!